The Loom-a-long Group at Ravelry is having a lot of fun this month with a "bootie-a-long". We are working on baby booties all month, and February, too. There are three different patterns to try, each with different techniques. It is a great way to learn some new looming tricks, and perfect the ideal baby bootie pattern to have in your loom knitting library. The photo shows the first of two free patterns, "Flower Loom Footsies" designed by Jenny Stark, made on the Knifty Knitter 12 peg flower loom. 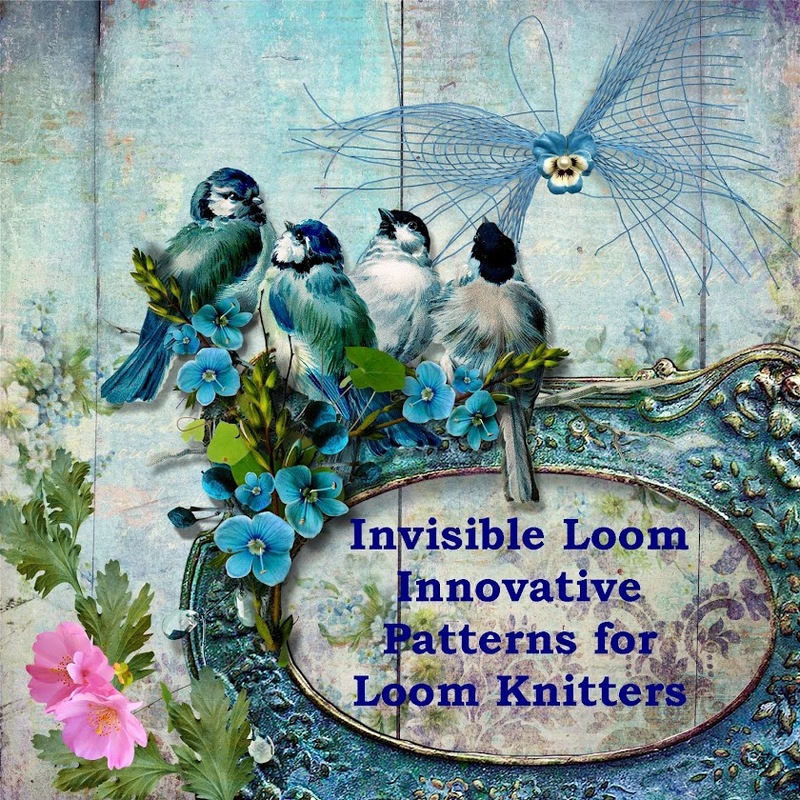 These have a very clever cast-off and beautifully written tutorial well worth trying. The other free pattern is from Beverly Qualheim of Bev's County Cottage, made on a 15 peg 1/2 inch gauge round loom. The purchased pattern is "Bethany's Booties" from Bethany Daily of Gettin' It Pegged. These little booties are just beautiful! Come join in the fun anytime this month or in February.